Deodorizer uses a natural bacterial enzyme action to digest organic odor sources such as vomit, feces, urine, milk, blood, etc. 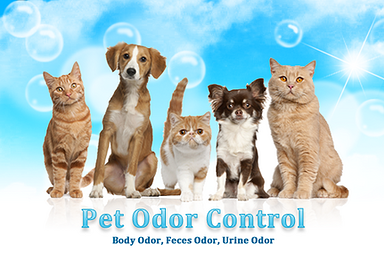 This product removes organic odors that it contacts. It also uses a neutralizer to give immediate relief from any odors while the enzyme is working. The key to complete removal of an odor is that this product must reach all contaminated surfaces. If the odor causing source has penetrated the backing and possibly the padding we cannot guarantee complete removal of the odor. We use our powerful hot water extraction cleaning process whenever possible, because it provides the deepest cleaning of all the possible methods. Some fabrics may require a more delicate cleaning system. In this case, we will help you make a decision that best suits your needs and your furniture. Manufacturers recommend having upholstered furniture professionally cleaned every 12-24 months depending on use.